Each year there are lots of skiers and boarders that travel to the ski resort where they have chosen to take their holiday to find out that the ski chalet that looked so perfect and with such a great rate does not exist. These are tips compiled by our friends at Chamonix All Year so you don’t finished up being conned out of a booked ski chalet. 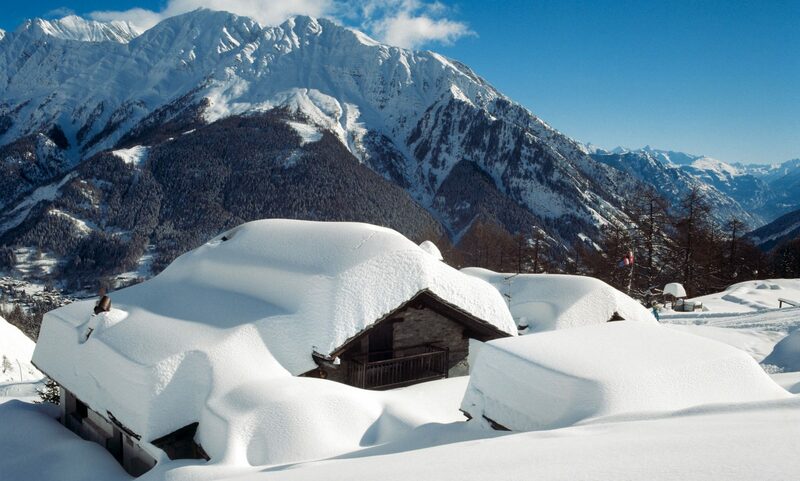 Auberge de la Maison – Courmayeur – another of the special properties offered by The-Ski-Guru TRAVEL. How not being scammed when contracting your ski chalet holiday. Chamonix All Year has been operating for 15 years, which makes them pretty knowledgeable in giving advice on what you have to look so you are not disappointed. As Chamonix All Year states, it is important that if paying by bank transfer you have no protection of your payments. The best is to pay with credit card, so your purchase is protected. In the UK, the 1974 Consumer Credit Act protects you up to £30,000. Companies need to go through a very rigorous process to apply to a merchant account to charge with credit cards. You do need to take into account that with the Package Directive of earlier this year in the UK, tour operators and chalet companies cannot charge you credit card fees- all fees need to be transparent. So sometimes chalet companies prefer you to pay them by bank transfers. But if you pay the deposit with credit card, your purchase is protected. “If you pay by credit card for a trip that costs between £100 and £30,000, the Act offers the customer valuable additional protection. … The protection applies evenif you’ve only made a part-payment on the credit card – a deposit, for example – but it won’t apply if you’ve paid on a debit card.” as stipulated in the Go Compare website. You will be offered a bank transfer as a form of payment but do pay attention if the chalet company or tour operator does not offer you credit card payment at all. Au Coeur des Neiges in Courmayeur. Also bookable by The-Ski-Guru TRAVEL. How not being scammed when contracting your ski chalet holiday. For smaller companies, having a merchant account could be very expensive and not worth it though. If all the other things seem to be logical, then you should be ok. Just proceed with caution. One thing to NEVER do is to send a payment with companies such as Western Union. 2. Check on the company’s social media. You should check at the social media of the tour operator or chalet company you are looking into buying your holiday with, to see if they sound legitimate and how old they have been doing it for – look at sites as Facebook, Twitter , Instagram or Pinterest – and see how active their accounts are and how many followers and likes and shares they get. See if the posts look natural and pertinent to a ski operation. The pool and wellness area of Au Coeur des Neiges. Courmayeur. How not being scammed when contracting your ski chalet holiday. Looking at someone’s website you can give you lots of clues to realise if you are dealing with a reputable company. See if you can get in touch with them, if they show whom they are, if they have useful information on what they are selling and the location of their holidays/chalets. Chamonix All Year advices to check the pictures of the chalet/hotel they are showing you by right-clicking to see the image in Google photos- this should take you to the website you are looking at. Like this you’ll check that fraudulent posers are not copying/pasting a picture and is not in their website at all. If the feature to check the picture on Google has been disabled, be very prudent. It is very normal that chalets are listed in many different agencies – sometimes in Booking, HomeAway, Homelidays, etc- notice that also they can be under a white label and lots of different companies carry them – maybe you should talk to the owner and ask them where they are listed to give you some peace of mind. Chamonix All Year says that fraudulent websites do not allow you to select text on the page, and they disable this option. Obviously it is better to check that you have live availability if you are booking directly and not through a tour operator. Chamonix All Year also suggests that you should check that the chalets should have some of their availability taken, more for peak weeks, such as Christmas, New Year and the February half term. If you see that nothing has been booked in their availability, just thread with caution. Obviously some exceptions are understandable, such as a new chalet in the market, a newly built, or recently renovated, or under new management. It is always smart to call the owners on top of just using email to communicate with them. And try calling landlines to ask more questions about the accommodation and also about the location, as they will be able to give you lots of tips. Plus it will make you feel safe with your decision of investing in your ski holiday with them. Check that a phone contact and address could be easily found on the chalet’s website. Do note that when booking through HomeAway or Airbnb, the address is not given until you pay the deposit or final payment, but if paying through them, they offer a ‘guaranteed sale’. When contacting a new company and you see their ads in Google Ads promoting their business, but they are not underneath the paid ads, this could be because the company is too new and the crawlers of the search engine have not had the time to go over all the site pages. If the company says it is new, then try to find out more information on them and be careful to use your gut feeling if this seems to be a pirate company. This is something VERY important that all booking platforms, such as AirBnB and Booking.com, amongst others ask: to please stay through the booking platform for contacting your chalet/hotel owners and use their booking system for making payments in order to be protected. You can go and check with the local tourist office if they know the company or owner of the chalet you are dealing with. Well-established companies for sure will have made an effort to have a relationship with their local tourism office. Also, check the websites that use their association to industry associations, such as ABTA, ABTOT, PTS, etc or ATOL. You should check with these organisations if they are really registered with them, as anyone could really copy/paste a logo into their website. If they don’t have these protection schemes, do they have something else to offer you instead? 10. Does the deal seems too good to be true? As Chamonix All Year suggests, if the chalet is pretty booked, but the high season week is still there up for grabs, you should have alarm bells. Ask the owner why is this happening. It could be that it is a new chalet in the market, as well as it could be that there was a last minute cancellation – but talking to the owner will allow you to be reassured by them. At least see if you feel they know what they are talking about. And do have lots of alarm bells if the price is too good to be true – nobody gives good things away cheaply. So, doing your homework is always worth doing, as booking a chalet in peak season can be very expensive, and you don’t want to risk loosing your money and what is more important, ruining your precious holiday time. Speak to a real human being on the phone, and ask lots of questions. Always check reviews and online presence (website & social media) before paying for anything. If in doubt, pay by credit card. You can start thinking about your trip, by reading the articles on the Planning your Ski Trip tab. You can read our post on how to pack for your family ski holiday. Or you may choose to read the Ski Resort News, Ski Passes News, and the Must-Read Guides to Courmayeur, Val di Fiemme, Crans-Montana and just hot off the press the Must-Read Guide to Zermatt. Coming soon will be the guides to Lech and St Anton. Or see an amazing helicopter flight over the Mont Blanc Massif. You can also read what’s new at Les Trois Vallées and the last article on what is new at the Tirol ski areas, in 3 Zinnen Dolomites ,in Chamonix, and in the Skicircus Saalbach Hinterglemm Leogang Fieberbrunn. Featured Image: One of the chalets at Crans Luxury Lodges. How not being scammed when contracting your ski chalet holiday. Photo Crans Luxury Lodges. Previous PostPrevious Alyeska Resort and Hotel Alyeska in Girdwood to be sold to a Canadian hospitality company. Next PostNext CheckYeti enters a strategic partnership with Skiset.